I met my friend for lunch yesterday at the mall. She asked if we could eat at the Nordstrom Cafe because she was in the mood for a particular salad. I’ve never been to that restaurant before, so I was excited to check it out. 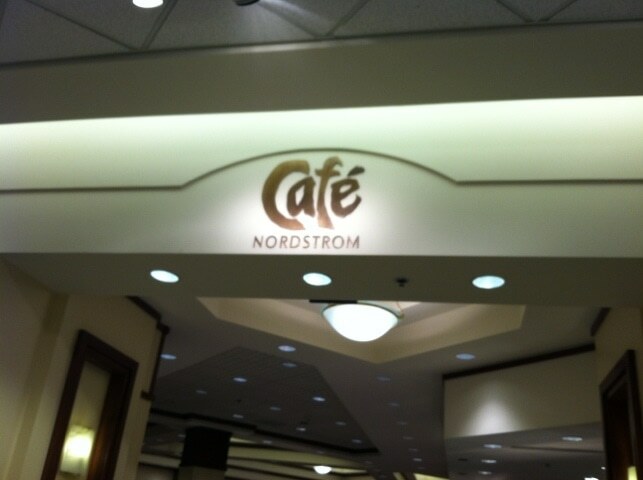 It’s a bit hidden… I’ve been going to my mall for 20+ years and never even KNEW that Nordstrom had a cafe!! You place your order at the cashier and then find your seat. A waiter then comes a few minutes later (literally) and brings you the food / drink. The atmosphere was… a bit dated (sorry! ), but the food was great and the place was empty! I’m telling you – no one knows about this cafe in my mall. I think there were 10 other people in the restaurant and my friend (who frequently eats there) said that’s pretty typical for the location. Back to the food – which is the most important part, right? 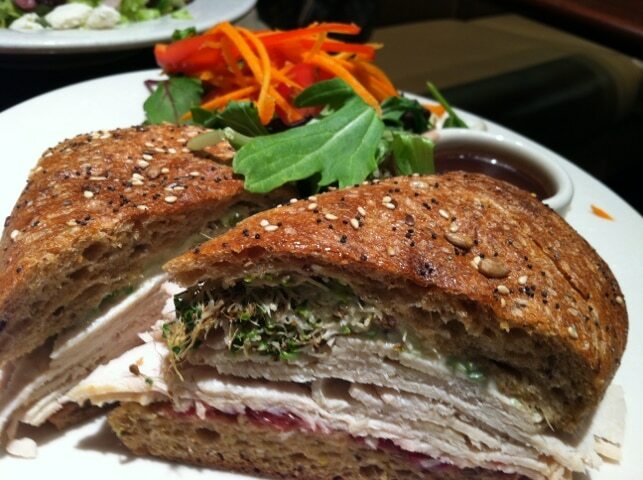 I ordered a cranberry turkey sandwich with a side salad. It was delicious! I actually only ended up eating half. 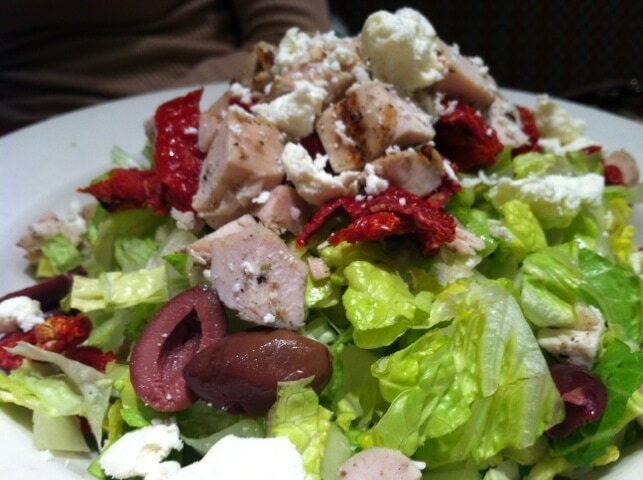 If you aren’t a salad girl, you can opt for chips isntead. I believe my entire meal – including my soda – was around $13. SCORE! Next time I’m at the mall with the kids and the food court is packed to capacity, I’m heading for the Nordstrom Cafe.